Today I have for you a super easy and delicious italian dish. If you are going to visit italy soon, definitely try them, if not, you can make it at home. Cut the peppers in small pieces, put some olive oil in the pan and start to grill them on low heat with the garlic. After 10 minutes put some water on them and let them boil till they get soft. When they are ready put some salt and pepper and a little virgin olive oil. Mix in the halved olives and the capers. Put them back on the fireplace for another-5 minutes. 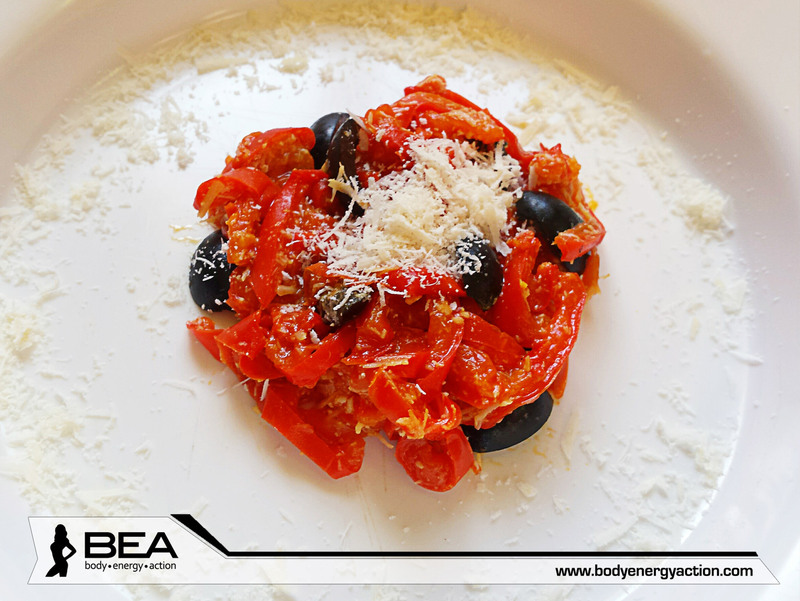 At the end add some grated parmesan cheese…and your dish is ready. You can serve it with any kind of fish or cheese, or just eat is simply like this.